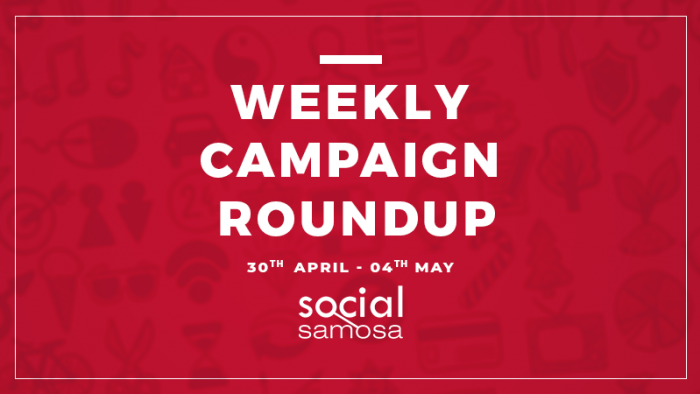 Social Samosa’s weekly social media and digital marketing campaigns roundup this week contains the works such as Flipkart’s new campaign featuring the Kidults, Procter&Gamble Shiksha’s #ChooseForChange, and Gulf Oil’s latest campaign with Mahendra Singh Dhoni with global flower delivery service, Teleflora kicking off Mother’s Day campaigns with their beautiful three-video series, Love Makes A Mom. Additionally, Social Samosa also takes a look back at some admirable and inspirational Ramadan and Eid-Al-Fitr campaigns from around the world that represented the spirit of the beautiful month, and all the Indian Premier League digital marketing campaigns from brands during this cricketing fiesta. #InItTogether: What’s in it for LinkedIn? As the professional networking platform rolls out an extensive version of LinkedIn In It Together in India, Social Samosa takes a look at the functionality of the campaign and how it helps LinkedIn in achieving its objective. It was 2012 when Facebook came out with their first ever mass campaign – Things That Connect. Read more about it here. As the holy month approaches, Social Samosa recaps some of the best Ramadan and Eid Campaigns the industry has seen.As the holy month approaches, Social Samosa recaps some of the best Ramadan and Eid Campaigns the industry has seen. 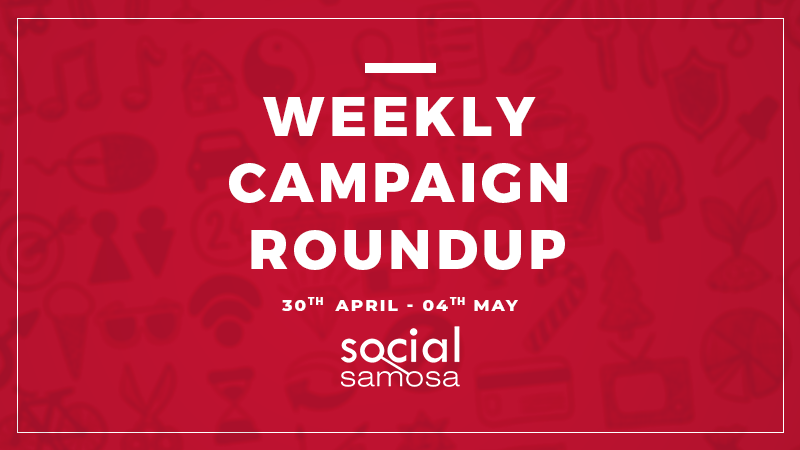 Check out all the campaigns that made Social Samosa’s list and read more about them here. With interesting teasers, Gulf Oil Lubricants India finally reveals who Mr. Pride is. Take a look at the Gulf Oil Lubricants IPL Campaign here. Gulf Oil Lubricants India Limited, as the principal sponsor of CSK launched their central protagonist Mr. Pride, a mysterious, helmetted CSK Player, who personifies Gulf Oil’s brand values of quality, endurance and passion. Read more about it here. Behind every ‘Sharmajika beta’ joke lays the ugly truth of competitive parenting, an evil prevailing largely in India. And a campaign we recently came across seems to be battling this evil. Classmate’s Be Better Than Yourself attempts to challenge the wildly-based assumptions around the term ‘competition’. Read more about it here. The Indian Premier League is one of the hottest sporting events watched by millions of people all over the country and battling to attract their attention are brands, culminating into a sports and marketing fiesta. Here are some of the most interesting IPL campaigns 2018. While each year there are a few mainstay names such as Vodafone, Amazon, and Kingfisher, every new edition of the IPL brings forth a new string of brands who entered the league of extraordinary brands. Read more about it here. Flowers have been entrusted with the responsibility of being the expression of love and celebration for centuries, and on a day such as Mother’s Day when we acknowledge our love and celebrate mothers, Teleflora attempts to explain how Love Makes A Mom. An online flower delivery platform that brings together customers and local florists, Teleflora has become known for their beautiful Mother’s Day Campaigns and this year, their series of video ads is titled, Love Makes A Mom. Read more about it here. The campaign, Choose For Change, highlighting the right to quality education has been conceptualised and created by Leo Burnett India. P&G India unveiled a new digital film for its flagship CSR program ‘P&G Shiksha’. The film has been launched across social media platforms YouTube, Facebook and Twitter. Read more about it here. With their recent campaign, Flipkart aspires and attempts to bring about a radical change in the way people view online appliances and electronics shopping. Flipkart Kidults do it again! While India has long graduated from try before buy attitude, the Indian e-commerce sector still faces challenges in the form of apprehensions and trust issues when it comes to appliances.Read more about it here.